To prepare the glass, spread the peanut butter on the rim then dip in Reese’s pieces around the whole rim of the glass. Then, drizzle the chocolate sauce on the inner edges of the glass. Blend the ice cream, whole milk, peanut butter, and chocolate sauce in the blender until the ingredients are fully incorporated. Pour the milkshake from the blender into the glass. Place the end of a pretzel stick into the middle of an ice cream sandwich. 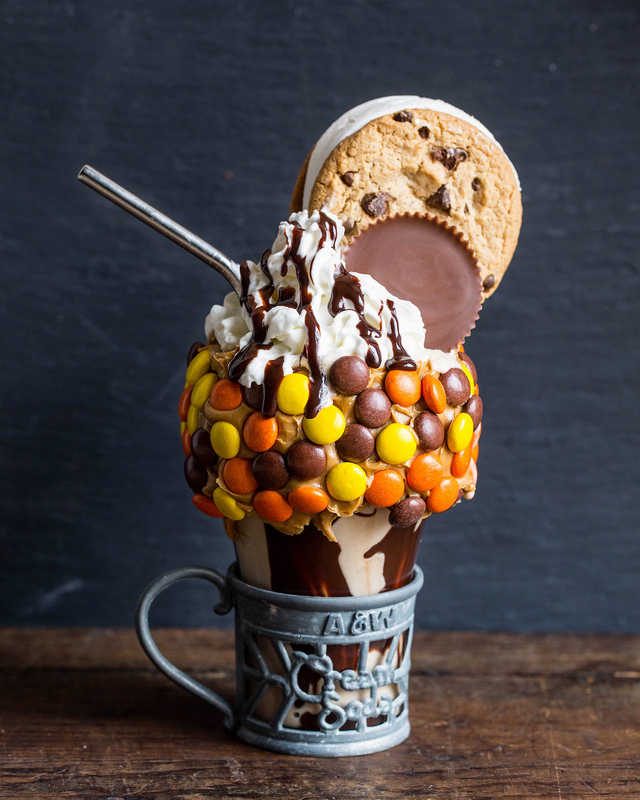 Top the milkshake with whipped cream, the ice cream sandwich, a large peanut butter cup, and chocolate sauce. Serve immediately.